This modern design hotel in Palma de Mallorca is just 50 metres from the seafront and harbour area, on the western side of the city. The restaurants and bars of the revitalised Santa Catalina district are an easy stroll, as are some of the nightspots on the Paseo Maritimo. The efficient local bus services, or taxis, bring the whole city, and Mallorca's famous beaches, within easy reach, or you could hire a car for more distant sorties - see our Travel pages for information about buses and trains. 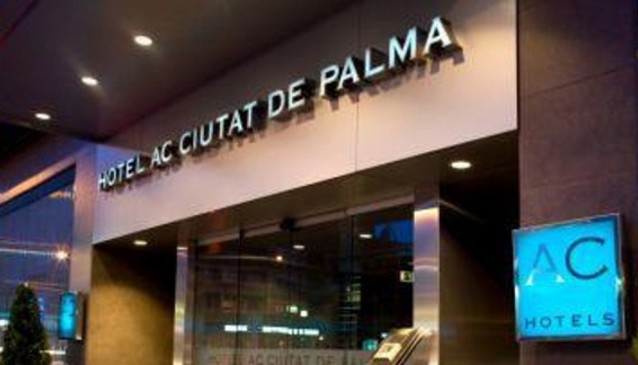 The AC Ciutat de Palma consistently receives good reviews from travellers for service, situation, and value for money.